You’ve heard it before, over and over again — moisture is everything when it comes to natural hair health. Still, many naturals struggle with keeping their curls, kinks and coils well-moisturized. Perhaps you’re guilty of one of our 9 ineffective moisturizing practices. The objective of moisturizing is to apply water-based product that penetrates the cuticle (outer layer) of the strand and infuse the cortex (inner layer) with water. If there is too much dirt or product on your cuticle, then there’s little chance that any moisturizing product you apply will make it to the cortex. With the exception of a few oils, like coconut oil, that can penetrate the strand — oils and butters will sit on the OUTSIDE of your strand because they are SEALANTS, not moisturizers. Their purpose is to lock in moisture — not apply it. If your hair is feeling dry, and you apply a butter or oil, you are just weighing down dry hair, making it more brittle and susceptible to breakage. Just like oils and butters aren’t effective as moisturizers, water-based products — and water itself! — isn’t effective at moisturizing unless it’s sealed in. Water quickly evaporate out of the cortex unless a sealing product is applied to the lock it in. *Note: Spritzes are a great daily moisturizing solution as they contain water, which penetrates the cuticle, as well as oils, that seal the water in. While they aren’t heavy-duty enough to provide long-term moisturizing, they are great as a daily refresher, in between moisture and seal sessions. Just like your body can be thirsty way before your throat actually feels parched, natural hair can need moisture way before it feels crunchy and dry. Start by moisturizing your hair at least once a day. If, in the following hours, your hair feels wet and mushy, you can cut your moisturizing down to every other day. If it still feels dry, then you might need to up your moisturizing to twice daily. Shampooing is a bit of a paradox when it comes to moisturizing — you are dousing your hair with water, while also stripping your strands of dirt and natural oils that help lock in moisture. So, in a sense, your hair is getting dryer as it gets wetter. The squeaky, super dry feeling your hair has after a shampoo is lack of lubrication, and its critical that it be replaced. Be sure to deep condition after every shampoo and follow up with a moisturize & seal. The primary purpose of styling products is NOT to improve the health of your hair. Just like the primary purpose of moisturizing products is NOT to sculpt and style your hair. There are some crossover products that can do both, but most will not. Liquid styling products might look tempting as a fill-in when you need a moisturizer but they might contain alcohols and mineral oil that will dry your hair out in the long run. Your ends are the driest part of your strands and most susceptible to breakage. The natural oils that your scalp secretes don’t travel down far enough to coat your ends, so it’s important that you are proactive in protecting them. Work moisturizing product into your hair from root to tip. 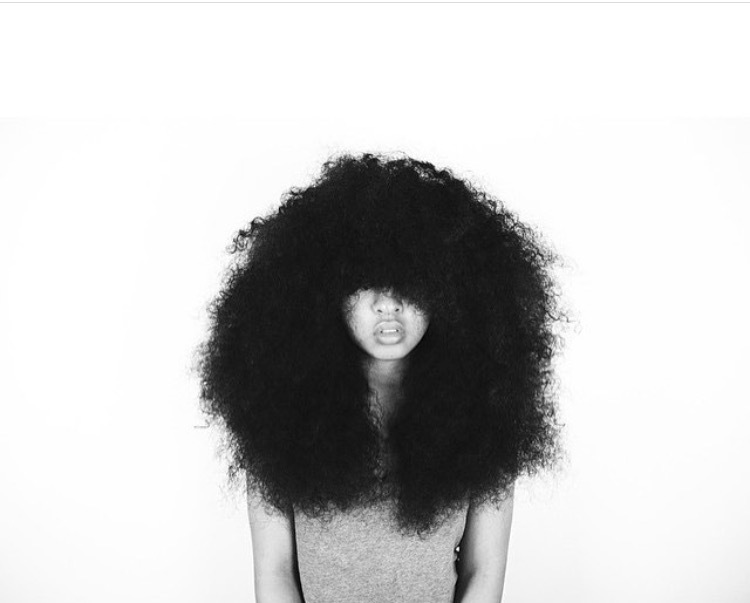 Some naturals even limit their product application to the bottom 75% of their strands. Properly moisturized strands don’t feel soggy and wet, they feel supple and strong — even when they’re dry. Applying too much moisturizing and sealing product can leave your hair perpetually wet, making it difficult to style. Be even-handed with your product application. Not only will it make styling easier, but it will save your bed spread, couches, car seats, and anything else your hair comes into contact with. While there are a few treatments, like henna, that require long-term application, most deep conditioning treatments need 30 minutes or less. Many naturals feel that keeping treatments on overnight helps with softness and moisture, but an increasing number are realizing that 30 minutes (or whatever time the product instructions say) is just as effective as 8 hours. Keep in mind that the makers of your conditioner have tested the product, and know how much time it takes to be effective. Are you guilty of anything on this list? What are some ineffective moisturizing practices that you’ve been guilty of?